If you scrunch your eyes shut really tight and think hard about ‘The Wizard of Oz’, what comes into your head? Is there one image that drifts up? 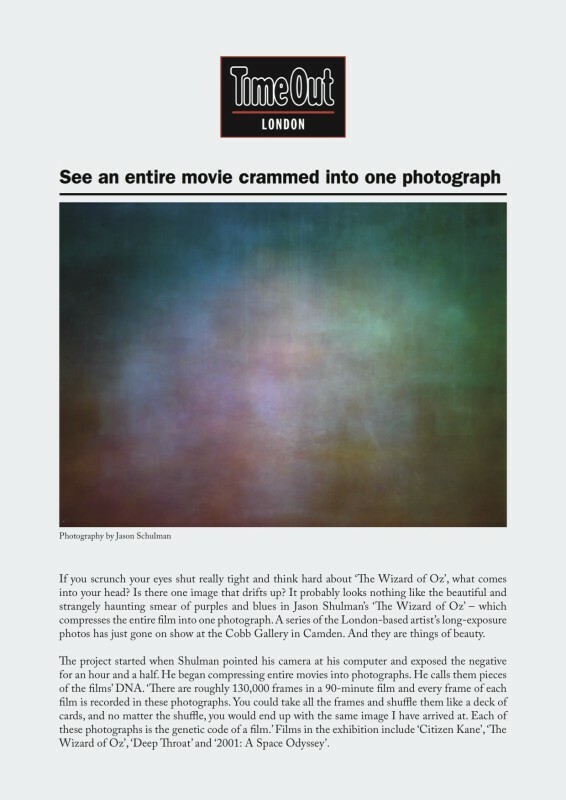 It probably looks nothing like the beautiful and strangely haunting smear of purples and blues in Jason Shulman's 'The Wizard of Oz' – which compresses the entire film into one photograph. A series of the London-based artist's long-exposure photos has just gone on show at the Cobb Gallery in Camden. And they are things of beauty.